R-E-S-P-E-C-T. That’s what the “R” in “R-16” stands for. 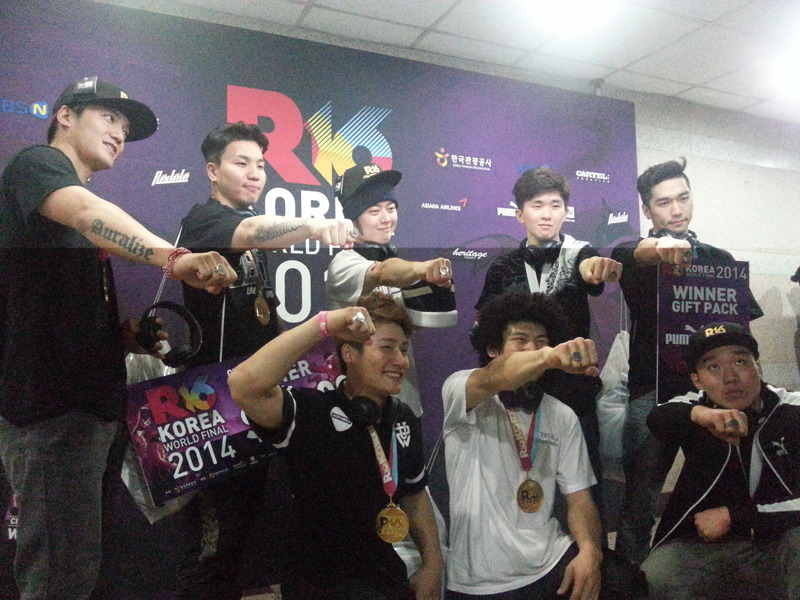 The R-16 is an annual event held in Korea where the world’s top b-boys battle each other for the title of world’s best. Crews representing Switzerland, Australia, USA, Russia, China, Taiwan, Japan, and Korea stood present, ready to duel one another for the championship. But before the crew battle took place, a performance battle preceded the main event. 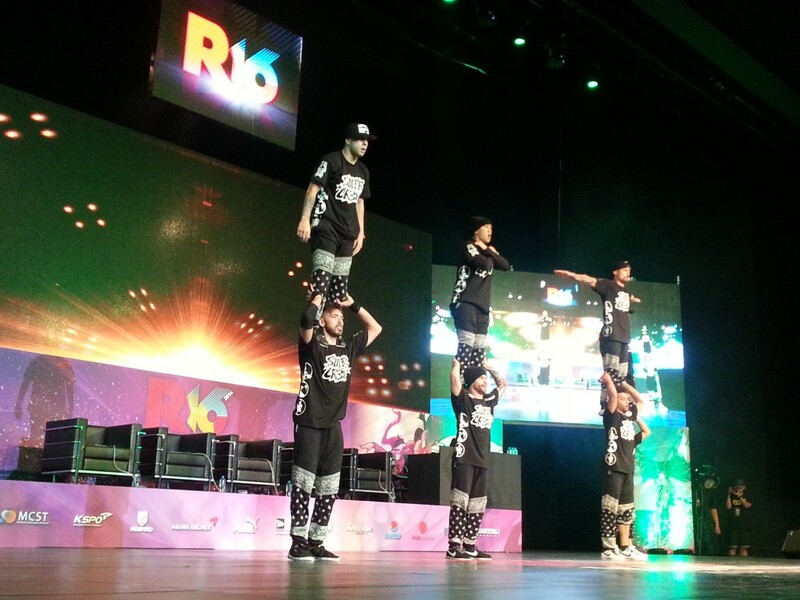 Each crew prepared a showcase to razzle dazzle both the audience and the judges. And it worked. Everyone in the crowd roared in cheer and jumped up and down in place as the beats of the music blasted through their entire bodies. From old school hip hop to modern dubstep, the crews executed their moves to their own beats as they flew through the air. Though each country performed their utmost and showed the audience what b-boy was all about, it was Russia’s Predatorz crew that took first place in the Performance Battle. 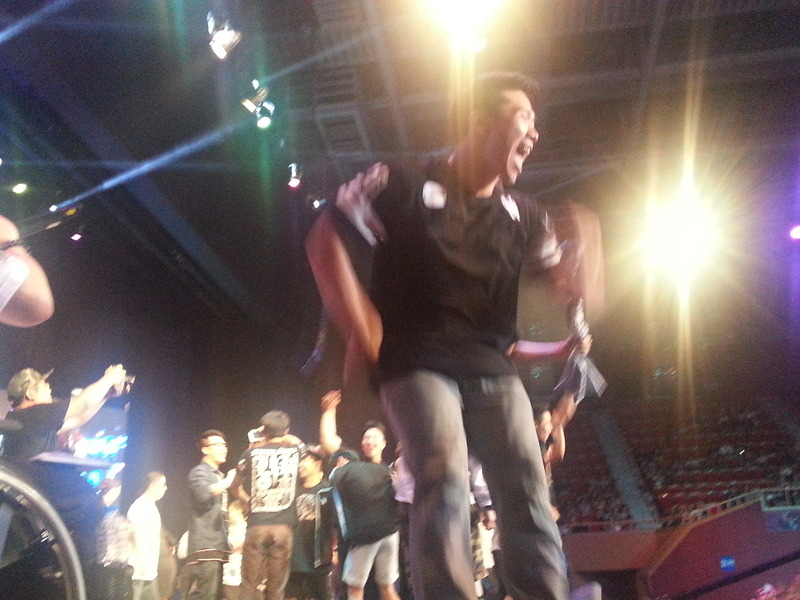 The Crew Battle that immediately followed really showed off each nation’s b-boy talent. In the first round, China’s Jokester crew went up against USA’s Super Cr3w; Australia’s SKB crew faced Korea’s own Gamblerz crew; Double Kill of Taiwan battled Japan’s infamous Body Carnival; and the Swiss crew, KFM, went head to head against Russia’s notorious Predatorz crew. Each crew battled with ferocity and tenacity, but in the end, the top two winners of the knockout tournament stood against each other – Gamblerz vs. Predatorz. You could really feel the heat of the battle emanating from their bodies. Neither crew backed down as they repeatedly pulled off incredible moves like air tracks, shoulder spins, and head spins. Once the noise from the crowd abated, the president of the R16 organization stepped onto the stage. The finalists stood on either side of him, tensed and hoping to hear their crew’s name as the champions. For what felt like a year, silence rang through the entire stadium. The stadium blew up as every Korean audience member cheered in unison. The Gamblerz crew members jumped up and down in utter ecstasy, and some members even had tears flowing from their eyes. 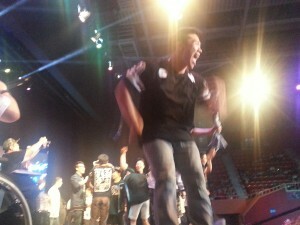 Gamblerz crew had faced many hardships throughout their long b-boy career, but it was all worth it, just to be able to enjoy that moment of happiness and cheerfulness. IDigCulture had the opportunity to interview Gamblerz crew after the battle. The following are comments directly from the Gamblerz crew. Comments translated from Korean to English by Scott Song. IDC: How do you feel about winning the tournament? Gamblerz: We are very happy. It was a kind of comeback. We re-gathered together after a long break thinking that the coming 12 years are more important than the past 12 years. Very luckily, we could win this honorable tournament and we are very satisfied with these great results. IDC: When did you feel the most nervous during the competition? Gamblerz: We felt most nervous at the very last round of the tournament because we poured out entire heart into what we have done such as practices. Waiting for the result was really suspenseful. IDC: Which crew did you worry about the most? Gamblerz: I think the most powerful team was Predatorz. We imagined our battle against this crew during practices. We kept thinking that it might be the hardest battle. As we expected, we faced the crew and became very nervous during the entire battle. IDC: What were some of the challenges you faced? Gamblerz: During our preparation for the R16, many members were injured and our whole team was very worried. But we could be on the stage cheering because of our fans. Even though we won the R16 Korea, we can lose next time. But we will get over the hardships and do our best. Gamblerz will go on and Gamblerz will continue to exist even after 10 or 20 years. 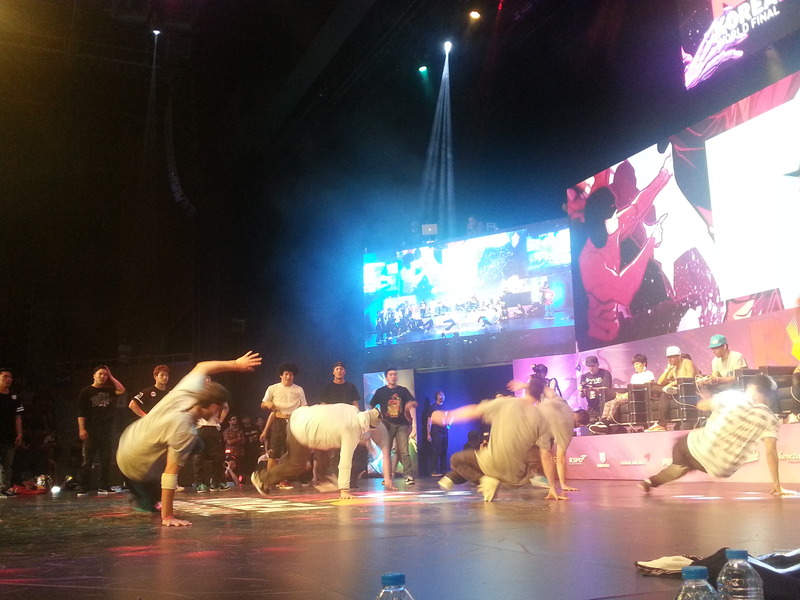 The R16 World Finals is a great competition, where crews from around the world participate in heated b-boy battles. However, it also has great cultural values. People from around the globe travel to watch support their native crews, but in the process, they have the opportunity to mix and mingle with people from different corners of the world. These spectators rouse around this world event and learn to socialize and at the very least sample cultures they’ve never seen before. The international crews communicate with one another in a way that language barriers cannot prevent: dancing. The way the b-boys and b-girls express their hearts and souls on the battle requires no verbal communication. Through their bodies, they speak their minds and present themselves to the other crews. In a society where smartphones and other technological advances are slowly but surely replacing human interaction vis-à-vis, the R16 shows us the best way we can respect each other is by physically expressing ourselves. I wish I would have went there? You should have been. It was epic.